Lenovo achieved the new milestone for the ThinkSystem server portfolio. Lenovo announced 42 new world record benchmarks for the ThinkSystem server portfolio, integrated with the latest Intel Xeon Scalable processors, according to industry leading benchmark organizations. The ThinkSystem portfolio of solutions is engineered to help customers reduce complexity and tackle their most challenging workloads. Lenovo has added seven new solutions covering cloud, big data, analytics and database that are supported on the new ThinkSystem servers, as well as introducing two new Intel solutions. These enterprise solutions are designed to deliver value to customers by utilizing Lenovo’s innovations in server performance and reliability as well as collaboration with industry-leading software partners. The TPC-E benchmark uses a database to model a brokerage firm with customers who generate online transaction processing (OLTP) transactions related to trades, account inquiries, and market research. Lenovo is the first to break the $100 USD/transaction per second per E benchmark (tpsE) price barrier on TPC-E, with $93.48 USD/tpsE, 16% lower than the previous low of $111.65 USD/tpsE. In addition to Lenovo achieving the lowest $USD/tpsE, Lenovo also achieved the highest TPC-E performance for any 2-socket system with 6,598.36 tpsE. This benchmark shows how customers can lower their overall costs, while still achieving the performance required to process their customer transactions. 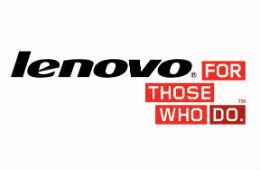 In addition to the TPC-E WR’s on the SR650, Lenovo also achieved a TPC-H world record on the SR950. The TPC Benchmark H (TPC-H) is a decision support benchmark. This benchmark illustrates decision support systems that examine large volumes of data, execute queries with a high degree of complexity, and give answers to critical business questions. Lenovo has published the best performance result ever on the non-clustered TPC-H benchmark at 10,000GB scale. The ThinkSystem SR950 server achieved the following score: 1,336,109.6 QphH at 10,000GB (queries per hour H) at $0.92 USD / QphH at 10,000GB. Lenovo also announced today support for Intel Select Solutions, a new set of optimized solutions based on the Intel Xeon Scalable processors targeting today’s complex data center workloads. These solutions offer customers an industry-standard solution while simplifying and accelerating the process of selecting, deploying, and optimizing data center infrastructure to run specific workloads. The Lenovo Validated Design for VMWare vSAN and Lenovo Database Validated Designs for High Performance Microsoft SQL Server OLTP will be available starting in October 2017.